It’s not quite the hunt for Osama Bin Laden, but 1,000 military and civilian players could help the Navy–and presumably its elite SEAL teams–figure out tactics for fighting off maritime terrorists and securing the Horn of Africa. All those years playing World of Warcraft may not have been for naught: The United States Navy has begun crowdsourcing ideas for fighting Somali pirates … through a new video game project. The game platform, called MMOWGLI (Massive Multiplayer Online WarGame Leveraging the Internet–not a reference to Jungle Book), is the product of years of research, will include more than 1,000 military and civilian players, and is planned for launch on May 16. It marks the first major effort by the American military to integrate both crowdsourcing and gamification into traditional military wargames. Or is it little more than some badass, righteous, high seas pwning? The game will be managed by a “control team” that will vaguely assume the role of a dungeon master and will monitor ongoing events to make sure no one pulls a Leroy Jenkins or that things don’t get too unrealistic. MMOWGLI players will assume either the roles of members of a multinational anti-pirate task force that includes both military and commercial elements–or the roles of pirates themselves. In the early stages of the game, players will be responsible for securing safe shipping passages through the Horn of Africa and Gulf of Aden. They will have to negotiate the logistics of arming ships, the likelihood of pirate attacks and the financial, jurisdictional and temporal difficulties of military action to support commercial shipping and cruise ships. Once that occurs, the inevitable pirate attacks will start. Players will be forced to deal with how their preventive plans failed or succeeded and will have to come up with new strategies. 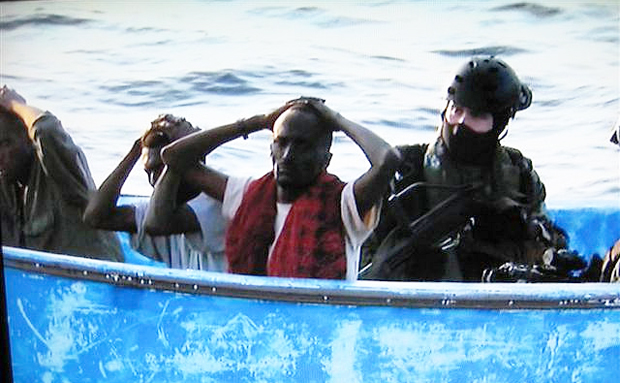 Individual players can work together to arrange hostage rescues, raids of pirate camps, humanitarian assistance to Somalia and attacks on Somali ships. In the final stages of the game, according to documentation, players can micro-manage their hostage rescues and pirate attacks to maximize chances of success. The ONR, in literature, says they hope the game will spur “out-of-the-box thinking” on anti-piracy strategy and that their hunch that the games encourage “novel combinations and complex interactions of ideas” that “otherwise might not emerge from more traditional wargame approaches” would be proven. MMOWGLI was developed by the ONR with assistance from the Institute for the Future and the Naval Postgraduate School. For the Navy, the use of massively multiplayer games to solicit military strategy is a no-brainer. Players in the game are not compensated for their time and ideas–and the military command structure has access to informed advice and strategy that they otherwise wouldn’t.